Over the next few weeks I will be updating this post with the details on my built, tuning and on air operation of my MFJ Ham Stick Dipole. Here are some photos of the start of the project. 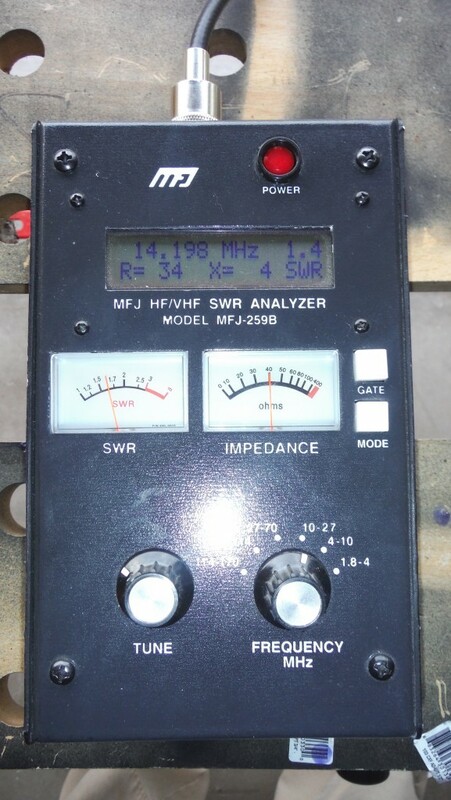 The MFJ 259B(thanks Paul Anova for the loan of your analyzer) showing a SWR of 1.4 at the midpoint in the 20 meter band. It took about an hour and 4 different positioning of the stainless steel wips into the fiberglass base of the hamstick. This is sneak peek at the project and I will follow up with a very detailed build, tune and operation on 20 and 40 meters bands using both Phone and digital PSK31. Excellent setup! It’s basically the exact same thing I use (I think I have the same tripod too). I agree that the tuning procedure is a bit tedious, but once you have it down you’re good to go. I’ve had fairly good results with mine, although it can sometimes be a hassle to truck that stuff around. I’ve currently working on some backpack dipoles for QRP portable. Great plan and great job! Thanks Chris. It was much easier to tune using the MFJ-259B. I cant imagine doing it with a SWR meter on the rig. 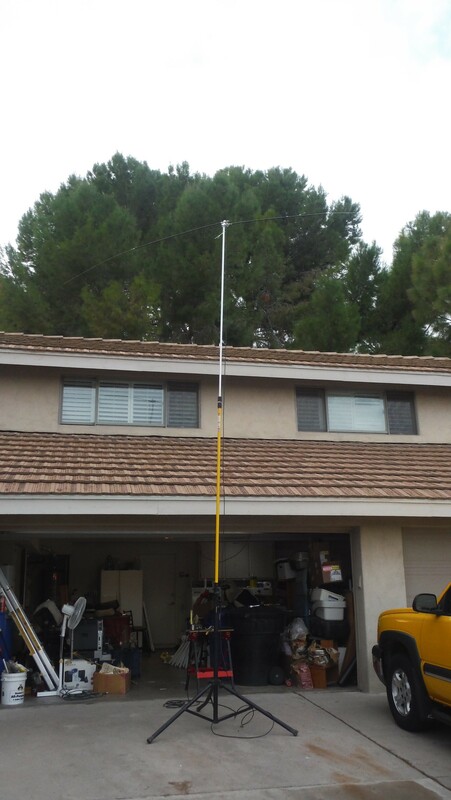 It was a quick post, but I have a 40 meter hamstick to set up next. This one I will get specific on the details and do both a blog and a video on it. I have not used it yet, but hope to this week. I’ve been thinking about doing something similar for 15m or 20m. I already have a speaker tripod, and a fiberglass pruning pole (minus the saw/cutter). I got the 20 meter dipole tuned durning this first round. I have the graphs of the SWR/Freq plots I will publish in this bold later this week. I attempted to do the same with the 40M MFJ hamsticks and could not get it it tuned in the phone section of the band. No matter what position in inserted the whip into the base stick, I could not get a SWR of less then 1.7 anywhere near the phone portion of the band. To tune these hamsitck dipoles, you start with the whips 4 inches into the fiberglass base. If the resonant freq is below where you are trying to tune, you insert the stainless steel whip farther into the base. If the resonant freq is higher than what you want, you pull the whip out of the base. with the 40 meter sticks the resonant freq always seemed to stay well below the phone portion. When I tried to tune on Thursday, I only grabbed the SWR/Freq valuse from 7.125 and above. Today i will re-run the tests and grab data from 7.000 and up to the phone ban to see what is happening and why I cant get the resonant freq to climb higher. According to mfj you will rarely see below 1.4 swr. The impedance threw me at first. Just set my 10 m ones up and what a hassle to get 28.5! stealth dipole on roof for 20m not liking the stickds. Are you using a coax choke? At home yes (kind off) I have several turns of coax on the ground between my entry panel mear the ground rod before it comes into the house. When I did the NPOTA(National Parks On The Air) event at the petrified forest I just rand about 75 feet of coax frommthe base of the stand right to my tuner>radio innthe visitors center. Cool setup. What did you use to attach the pole to the tripod? Actually the painters pole fiberglass base fits inside the AV tripod upper section. Because it was a temporary attachment that has become semi permanent(dont they always) i simply did a wrap with 200 MPH tape(duct tape) 2X around then layed 2, 3/8 inch dowel rods 2 inches long 180 deg apart on the those first two wraps then wrapped 4 more times over the dowel rods. This makes the painters pole about 1.625+ dia so it wont slip past this point into the upper section AV stand. I will be posting a video of the tuning of this dipole with in the next week or so and you can see how this works. Thanks for the question. Please help spread the word about PH site and “Like” Share this article. Duct tape! Adapt and overcome. I have a MFJ tripod and a 16 ft painters pole, might have to try something similar. Now just to find the time. It was quick and very dirty. The thing that took the most time was using the MFJ 259B antenna analyzer on it. The pole was put in, hoisted to about 34 feet, analyzed over every 50-100 from 7.000 mHz to 7.300 mHz, taken down, removed whips, changed the depth setting in the hamstick, re-insert and do all over again. The 20 meter dipole was a breeze compared to the 40. The 20 took 4 changes of whip depth into the hamstick. The 40 was resonant over a very narrow bandwidth and probably took 20 cycles to get it close. I will shoot a photo tomorrow of the “adapter” and send it to you. I assume your email address is valid? Yes, email address is valid. I appreciate your response! I use the same setup for qrp and digital operations. similar heights. be sure to not let the extra length of the steel whips extend into the fiberglass. they can arc to the outside coil wire and burn up the wires. tune them to freq. needed and leave an inch or so, cut off the excess. these antennas work very well for such limited size. the lower the frequency the more narrow the width. they do great on the higher bands. 40m is about as low as they work well. im always happy to share my setup with new hams or people like me stuck in the HOA limits. 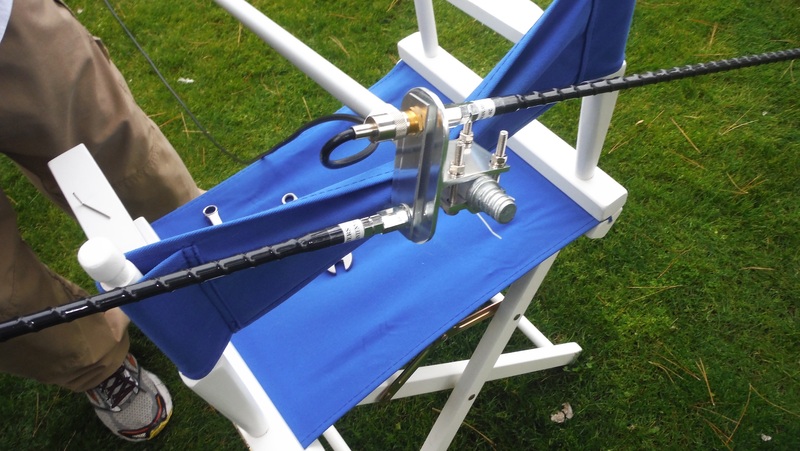 This hamstick antenna out performed all other antennas we had there. only leave the inch? I am just starting and they are tuning way low so the whips do need to be cut back inside? Instructions are just a bit confusing but your advice will be followed as to this point about to toss them so frustrated. My 20 meter sticks were fine without cutting the wire back inside the antenna. The 40 meter stick have the much longer loading coil (you can see these on the outside under the shrink wrap) so if the internal whip wire gets near that coil it will almost never tune. So lay the whip and the locking nut next to the antenna and see how close the end of the whip wire is to that coil. If its within 2 inches cut it back. 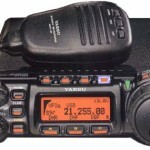 Yes tune them with an antenna analyzer if you have one or on low power. Mine started very low frequency also. I had to shorten up the whip portions. I would cut the unused extra whip portion that goes into the fiberglass portion of the sticks. They can arch out inside the fiberglass if left uncut. Imused the MFJ 259 which although worked great, it was a pain to change 200k at a time and log the data into excel To plot. I have the same set up, but I haven’t had much luck getting them tuned in below swr of 3.1 on the low end of the ssb band yet. I look forward to your update on the tuning of the ham sticks. What band hamsticks are you using? How far down the stick is your whip? How near the “coil” is the whip? The “coil” is the wrap of wire near the top of the sticks under the shrink wrap. The longer the wavelength(lower freq) the longer the coil will be, 40 is longer than 20 meters)). 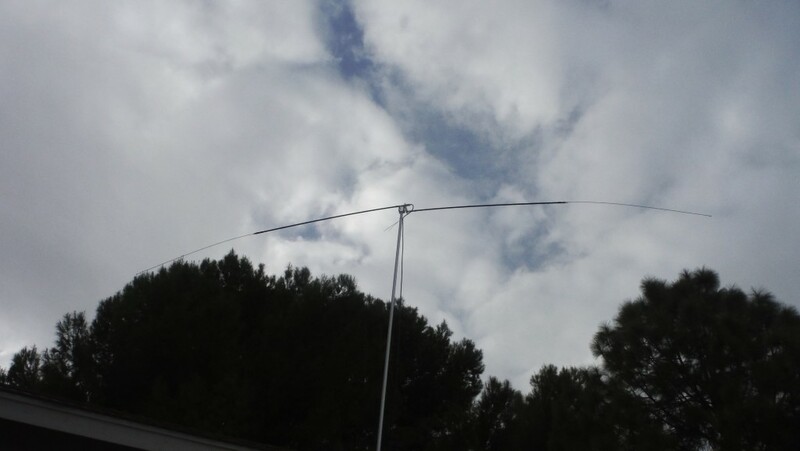 A friend was building the same set up and and could not get the sticks to tune on 20 or 40 meters. He was about 1 inch above the coil (almost 8 inches into the stick)and could not get near a 2.0:1 or lower. He cut back the whip about 4 inches or more so it was 4 inches or greater above the “coil” amd he got it to tune to 1.5:1 or less across the entire bands with for his General license. In the extra portions, he was about 2.5:1 so very tunable via an internal antenna tuner. So let me know the bands of the sticks and how close you are to the coils. Very useful information! I ordered this antenna for 40m yesterday and can’t wait for it to arrive. Did you have to rotate it in any particular direction (North/South, East/West) to get it to work best? 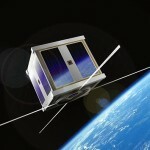 It is directional “broadside” to the sticks, just like a normal dipole. Turning the antenna shows higher signal levels broadside via the above website. If you have not used it before I can email or post a quick blog post onnhow to set this up. That would be great! Everything arrived today and I can’t wait to go HF so any information is appreciated. Our HOA limits antennas to no more than 9ft high, and our backyard concrete/rebar walls are about 5ft high. That’s probably why my Buddipole vertical seems to be Perfectly shielded from the aether. Do you have a tree you can hide the hamstick dipole in?